Beer enthusiasts rejoice—Great American Beer Festival is on tap! 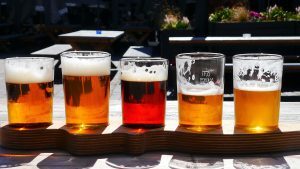 Break out your best walking shoes because starting September 20, nearly 4,000 beers will be available for your taste-testing pleasure across 380,000 square feet of festival grounds at Denver’s one and only Colorado Convention Center. There will be 5 pickup and dropoff zones conveniently located around the convention center. Select the nearest one and meet your driver curbside. Once you’re inside the convention center, stop by Booth 8-1 (across from the GABF store and concessions) to grab free swag! Share your location with your driver. Riders can show their exact location to their drivers by turning on Live Location Sharing. Location sharing is only during the pickup experience. Share your trip with loved ones. You can now share your whereabouts and trip status with friends and family, all right from the app. In-app chat directly through the Uber app to contact your driver for the perfect pickup. Spotlight. When you’re in crowded areas or it’s nighttime, it can be hard for you and your driver to find one another. With Spotlight, you can light up your phone with a special color specific to your driver. Get in the right car (and other safety tips). Before you get in the car, check that license plate, driver photo, and driver name all match what’s listed in the app. Rides can only be requested through the app, so never get in a car with a driver who claims to be with Uber and offers a ride. If you know fall in Denver, you know it’s one of the best times of the year. 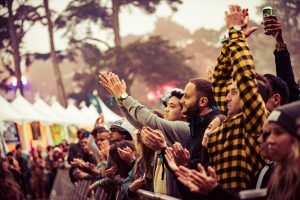 With it comes big events like Grandoozy and the Great American Beer Fest. Whether you’re a local or just visiting, you’ll find everything you need to help you get around right here. 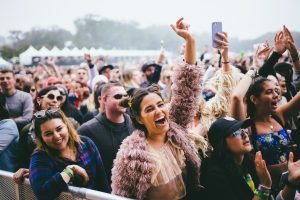 As the Official Ride of Grandoozy, Uber helps you focus on what really matters: enjoying a weekend you’ll never forget. 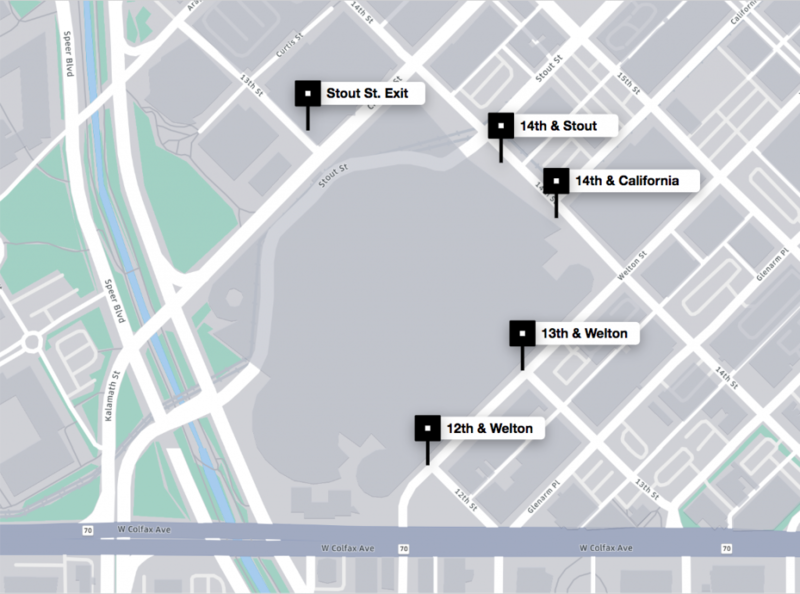 Uber has official pickup spots located on the north and south sides of the festival. When you’re ready to leave, request a ride, walk to your selected location, and meet your driver at the curb. If you need a little help, come to the Uber Lounge located near the Jewell entrance where there will be Wi-Fi, charging stations, and staff to make sure your pickup experience is as smooth as possible. 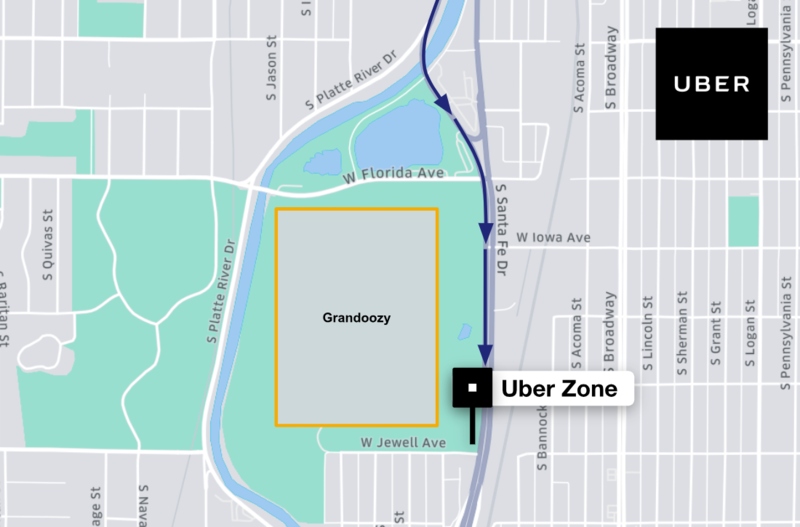 Please note that there will be a $2 event surcharge for all Uber trips leaving from Grandoozy. This surcharge is retained and used by Uber to help ensure a reliable pick up experience at the festival. To drop off riders at the festival, enter the Uber Zone (on Santa Fe Dr) at Florida Ave. Proceed to the end of the zone to drop off your rider at the south side of the golf course. Navigation directions are subject to change. You can check back on this post for updates on suggested directions to the Uber Zone. You can take advantage of special promotions while picking up riders at the designated Uber Zone at Grandoozy. Keep an eye on the Promotions tab of your Uber Driver app for the most up-to-date information. 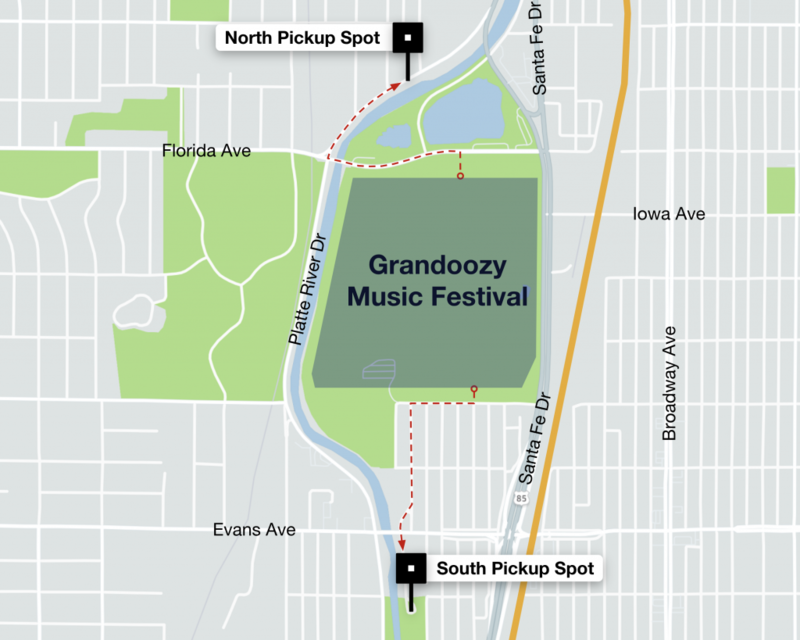 Have more questions about driving at Grandoozy? You can visit the Denver Greenlight Hub, located at 4665A Paris St, Denver, Colorado 80239 to get your questions answered. We hope you have a great time at these events, and more, in Denver this fall!